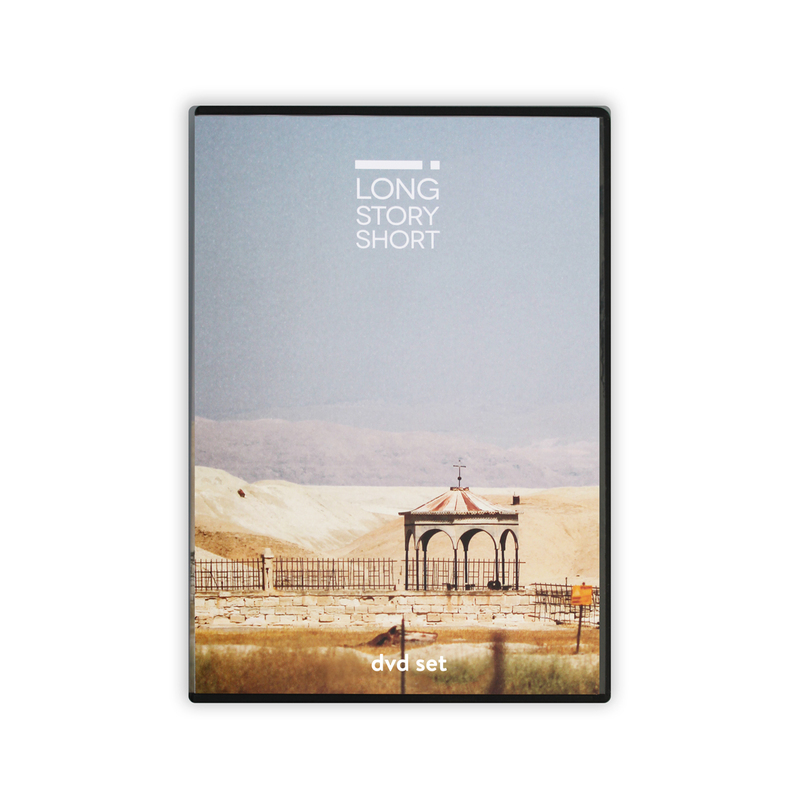 The Long Story Short DVD series is a new and exciting presentation of the long story of the Bible. Starting right at the beginning of time, it continues on to the life, death and resurrection of Jesus. Viewers are presented with a fresh and relevant big picture overview of the Bible. The cinematography is stunning and captivating. The series starts off on the rugged west coast of New Zealand then continues on an epic journey around the world as we seek to discover the timeless story of the Bible. We visit the entrancing streets of Paris, the thriving metropolis of New York, the wonders of Dubai, the bustling marketplaces of Jerusalem, the sobering killing fields of Cambodia, and many other fascinating places as we delve deeply into the issues raised. The story introduces us to God and what he is like. We look at the origins of the world and humankind, and then the tragic introduction of evil. Then to bring meaning and purpose to it all, we discover God’s rescue plan beginning with Israel and leading up to Jesus. Woven throughout the presentation is the relevance and power of the Bible for today. The DVD series is packed into 11 episodes (20 minutes each), which are followed by 10 Q&A sessions (20 minutes each) succinctly addressing many of the big issues the story raises. The videos are the foundation of the Long Story Short course, and are designed for use with the Leader’s Guide and Explorer’s Journal. The course assumes no prior Bible knowledge and can be completed in 7 to 11 sessions, either one-on-one, in small groups or in church-wide gatherings. Order a copy today, then sit back and be captivated by this life changing presentation of the exciting, true and highly relevant story of the Bible! If ordering 10-19 DVD sets, a 10% discount will be applied, while 20+ DVD sets attracts a 20% discount.